Graphic a la Design - Can your business succeed on looks alone? How professional writers give your brand a voice. Can your business succeed on looks alone? How professional writers give your brand a voice. You hired a graphic designer to create some cool artwork for your upcoming tradeshow. You now have some interesting infographics that support why people should trust in your products and services and become your next big client or consumer. Smart move. The quality of a professionally designed ad, brochure and website will enhance the reputation of your business and even make it stand out from the competition if done strategically with the interests of your customers. Now you can dream about success. But can you achieve it on looks alone? Let’s compare your marketing material to visual attraction among humans. You see someone from a distance — for the purpose of this message, let’s name that attractive guy or girl Jordan. You get closer to Jordan and oh la la…you still like what you see. Jordan flashes a smile your way and wow — what gorgeous eyes and well-polished teeth. This is clearly someone who is into self-care. Well dressed. Check. Perfectly imperfect wavy locks. Check. You must to get to know Jordan. After a few quiet encounters like this, you find comfort in the familiarity of this god-like ideal. Based on visual familiarity, you begin to trust that this just might be the one. To cut to the chase and keep this post professional…let’s skip on some of the details but boil it down to this. You quickly discover that the beautiful soul who captured your eyes just didn’t have the voice or intelligence or heart (or whatever it is you’re looking for) to match. This is not an uncommon story of heartbreak and disappointment, and we’ve seen it unfold when companies put all their marketing dollars into pretty glossy professionally designed catalogues, websites and promotional materials, without the support of a professional promotional writer. The important question to consider is why are business owners willing to spend money on an artist to apply lipstick and rouge, yet they skip out on a professional writing process? Here are some answers from our view as professional designers and strategic marketers. Business Owner: I know my business better than anyone. I am the founder, creator, and nobody is as passionate about my products and services as I am. I know my work and who better to write about it than myself? Graphic a la Design: The truth is, you, the business owner, as the creator of your product, know your stuff. Like most entrepreneurs and highly successful CEOs, you probably eat, sleep, dream and breathe your business. You own your content. So why would you need an external resource to develop marketing content for your website or other nifty tools that a graphic designer is capable of designing for you? Consider this. 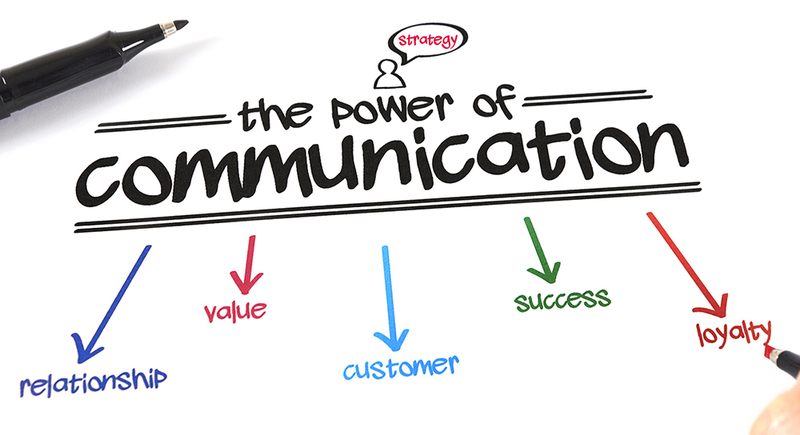 Business Owner: As the owner of my business, I am the voice of my brand. My content is intended to sell. Create a voice that customers want to hear. At Graphic a la Design, our professional writers are not close to you or your product. This distance is an advantage, as they will enter each job as though they are potential customers. They write with the customer in mind — and like your customers — they have questions about your products and services. A professional copywriter’s goal is to answer those questions in a voice that will speak to prospective clients. Business Owner: But my content is really good; it’s accurate, easy to read and free of errors. Consistent messaging and style guidelines. The role of a professional is to keep your messaging on task. That means every message has a job to do while organized in simple, easy to understand terms. Whether working with existing content, or starting from scratch, our team will write and rewrite until the content is accurate, organized and polished in a way that connects with your audience. We also work with high standards and guidelines to ensure that spelling, grammar and tone are consistent. While business owners may also be skilled in spelling and grammar, there is often more to writing strategic marketing copy that a professional can apply. You may request a sample and you will see the difference. Business Owner: My business is like my baby. I don’t know if I can trust an external writer to develop marketing content that will turn prospects into customers. Collaboration. Our writers know that you are the best source for content and will work with you rather than for you. You, the business owner, still have the opportunity to share your passion and knowledge; but in walks the professional who can help assess the needs of your audience and determine the most appropriate tone by asking questions like — is this a market where we can be playful and have a little fun with readers? Or shall we challenge the content to be more creative or serious or corporate? Next steps… we work together as a team of writers, designers and our clients, to deliver a fresh flavour to your marketing copy from a customer’s perspective that is consistent and professional and adds depth to the design work you are investing in. In other words, you aren’t leaving your baby with a stranger — you are simply getting assistance to ensure the best for your pride and joy. These are just a few tips of the trade to expand your options for creating great content to match your brand’s visual identity. When working with designers, we want you to experience the most profitable outcomes with material that offers more power than meets the eye. So think about your next business opportunity and ask if your attractive marketing material is equally creative, strategic and polished in content. Now you can dream about what success looks like when your graphic design material offers a professional voice through consistent messaging, standardization and collaboration.